Make the most of YouTube to promote upcoming milestones in your career. Plan your next tour. Showcase your album releases. And sell merch to your fans. YouTube has several Artist-inspired products that can help you plan your tour by seeing where your fans find and enjoy your music across the world. YouTube Analytics has many different metrics based on channel-level data that can help you see audience engagement and guide decisions about your channel and music. The Demographics data (“Build an Audience”) in YouTube Analytics ranks the popularity of videos you've uploaded country by country based on views and watch time. "Music charts & insights"indicates top tracks by locale. It provides city and country-level stats based on data from your own channel and other channels that have your content on them. You can use this data to map out tour destinations, share with promoters, make venue and ticketing choices, and connect with fans by locale. The Watch time data in YouTube Analytics shows you the top-watched videos on your channel, and "Music charts & insights" shows the top tracks your audience listens to by location. You can get a better sense of what songs are most popular (by location) and decide which songs you might want to play on tour. To find your most excited fans, look at where your videos have received the most ‘likes’, comments, or subscribers. When touring in those destinations, consider planning something special, like a live stream, for your die-hard fans. 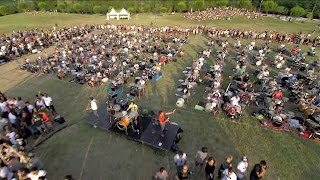 The Foo Fighters came across this video where 1000 fans in a small Italian town performed one of their songs and made sure to stop there on tour. This is a rare example, but still a demonstration of how YouTube can show you where fans are super engaged. Your channel is a great place to promote new releases, sell more tickets, and highlight key moments in your music career. Check out these tips for before, during, and after a major milestone. Update your channel’s banner and description to keep fans excited about what you’re up to. Fresh branding on your channel can keep fans engaged and helps them see when something is new or important to you. It’s good to update your channel banner with your most recent photos or artwork from an upcoming tour or album. Give fans a preview. Psyche your audience up for your tour or album release by making a short video that gives them a sneak peek of what’s to come. Build global buzz by making this video your channel trailer, and add it to popular playlists. Sell tickets and merch. Cards are versatile pop-up screens that can sell tickets, merch, link to pre-release songs and other videos. Enable cards to push to approved ticket distributors, websites, and merchandise sites. Incite a flurry of activity on your channel. It’s normal to spend time away from your channel, but when you’re ready to make a big announcement, excite fans by giving your channel a little love before the release. Consider shooting a few quick videos, like a countdown, sampler, or behind-the-scenes, to build anticipation. Host exclusive launch events locally to build up excitement. Your hometown fans are often the most excited audience because they’ve likely been supporting you since the beginning of your career. You can consider live streaming an event to share with your fans around the world. Schedule a Premiere and encourage fans to tune in. With Premieres, you can get a public watch page URL to promote before a new video upload. Try to tease the video by sharing the watch page URL in a community post or via other social networks. Viewers can start interacting through Comments and Live Chat before and during the Premiere. Tell everyone. Explore the Playback locations & Traffic sources metrics in YouTube Analytics to see which blogs, websites, and social media outlets drive the most views to your videos. Consider reaching out to these sites and influencers to feature your promotional materials. Post links on social media platforms where your fans are most engaged. Keep the momentum up. After or at an album release, consider releasing lyric videos or other song versions on a set publishing schedule to keep fans engaged. If you just started touring, try filming short tour diary videos to give your fans an inside look into your journey. Upload art tracks and make lyric videos. If you’re not ready to produce an ‘Official’ music video, try uploading an art track or lyric video. This can help get your music to more people and is great exposure for your new music. You may be eligible to promote your upcoming tour dates on your video watch pages, through a partnership with Ticketmaster and Eventbrite. Find out more. 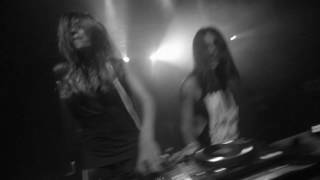 Krewella released this 30-second video to get fans excited about their upcoming tour. Poppy built up a fanbase by releasing videos for months on her channel before her single came out. Os Travessos asked their audience what they thought of their new single with a poll card. Fans love seeing your fresh videos while on tour. Here are some tips to keep fans engaged in between releases. 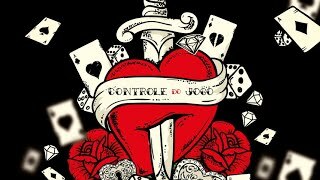 Making of the tour: sets, costumes, setlist creation. Behind the scenes: backstage, the audience, the crew. Tour diaries: daily routines, travel, preparing for the show. Download the YouTube Studio app so you can keep an eye on fan comments on the go (and see your fan reactions to your shows). Use poll cards and ask your fans questions that they can answer in the comments. 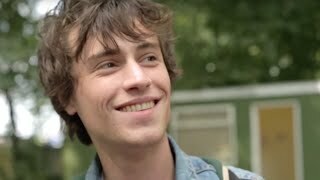 Max Jury made a short video showing some backstage footage as he prepared for the show in Bristol.